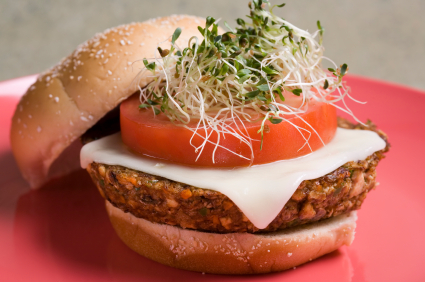 The veggie burger — what’s not to love? They have all the advantages of the burger — compactness, ease of consumption, an open invitation to imaginative toppings — with none of the problems (cruelty, death, despair). And, while the simple veggie burger used to be somewhat standard fare, they have diversified in startling ways. 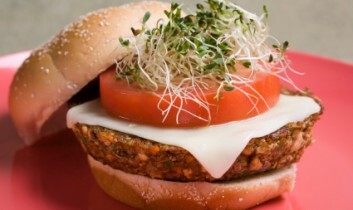 High end veggie burgers have caught the attention of serious foodies. And even otherwise nondescript menus may, nowadays, sport beet burgers and mushroom burgers and sweet potato sliders. Given their flexibility and potential for deliciousness, it’s not surprising that the veggie burger is many people’s first foray into explicitly vegan fare. Of course, people eat vegan food all the time — from salad to french fries to PB&J — but they don’t really think of those things as vegan. Choosing a veggie burger instead of a burger made out of the chopped-up muscles of dead cows is a deliberate act in the direction of decency. 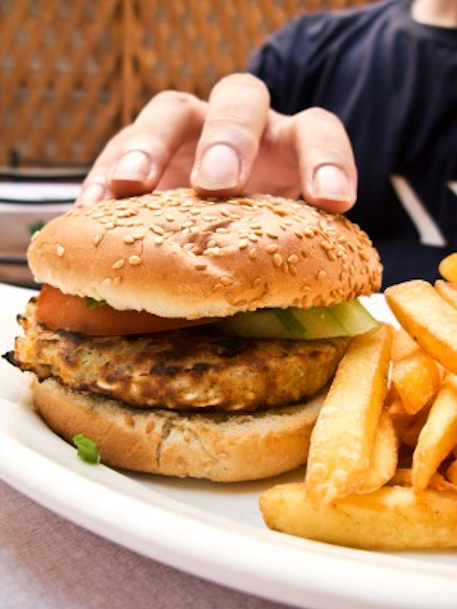 So we love to hear about another restaurant adding veggie burgers to their menu, whether it’s a major chain or the local greasy spoon. And we especially love to hear about school kids getting the opportunity to spend their lunch money on veggie burgers. It seems impossible to believe that, in this day and age, school cafeterias are not supplying lots of healthful vegan options to the kids in their care. But plenty aren’t. And it’s often up to the kids themselves to see that change happen. So we were very pleased when we heard about some kids in the suburbs of Chicago who, with the encouragement of Peta2, are working to get veggie burgers on their school lunch menus. Interestingly, some of the schools say they’ve tried them and have been unable to sell them, while the students point out that they weren’t well advertised or even announced as being on the menu. No wonder they didn’t sell! In response, Devin Phon, the student who spearheaded the campaign at Deerfield High School, successfully managed to get the veggie burger on to the menu, where people could actually see that it was available. As a result, he won PETA2’s Star Street Teamer Award. Getting veggie burgers on the menu is something we can all do. Whether we’re in school, eat at a company cafeteria, frequent a local restaurant, or are in the mood to take on the big guys, there is no excuse anymore for allowing any restaurant that serves burgers to forego the veggie burger. And, of course, make sure it’s vegan (are you listening, Burger King!?). And maybe start to move some of them in that high end direction. We all need some sweet potato sliders in our lives.